Bumblebees are not only excellent pollinators in open air, but are especially well suited to greenhouses and tunnels, places where other bees cannot be used. 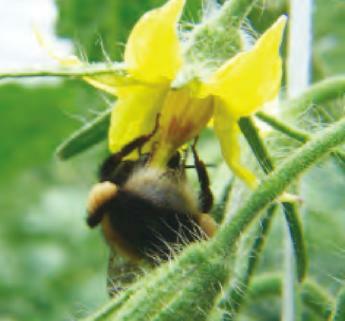 Bumblebees are used in many countries for pollination of tomatoes, melons, strawberries, eggplant, zucchini (courgettes), cantaloupe, blueberries, cranberries, peaches, apples, kiwifruit and many others. 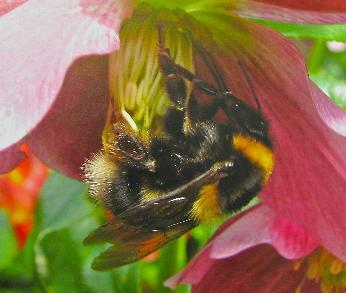 The use of bumblebees reared in captivity for pollinating crops began in 1987. 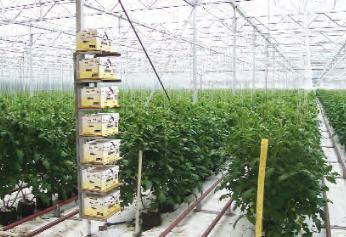 Since this time their use in commercial crops, principally greenhouse tomatoes has spread rapidly. They are now in use in almost 40 countries but not Australia. The use of bumblebees is well established in New Zealand drawing upon feral stocks of B. terrestris introduced in the early 20th century. The most commonly used variety is Bombus terrestris but B. occidentalis, B. impatiens, and B. canariensis are also used where appropriate. A feral population of B. terrestris has become established in Tasmania, thought to be of New Zealand origin. In recent years applications have been made to import bumblebees to the Australian mainland but these have been rejected due to some environmental concerns. These include unknown effects on local bee populations and the bumblebees potential to improve pollination of some weed species. Studies are currently in progress to assess these threats. Attempts are also being made to colonise indigenous bee species. Presently, it is illegal to move bumblebees around Australia. Contact suppliers for further information. Or view or download a PDF file of the Book entry for Bombus.